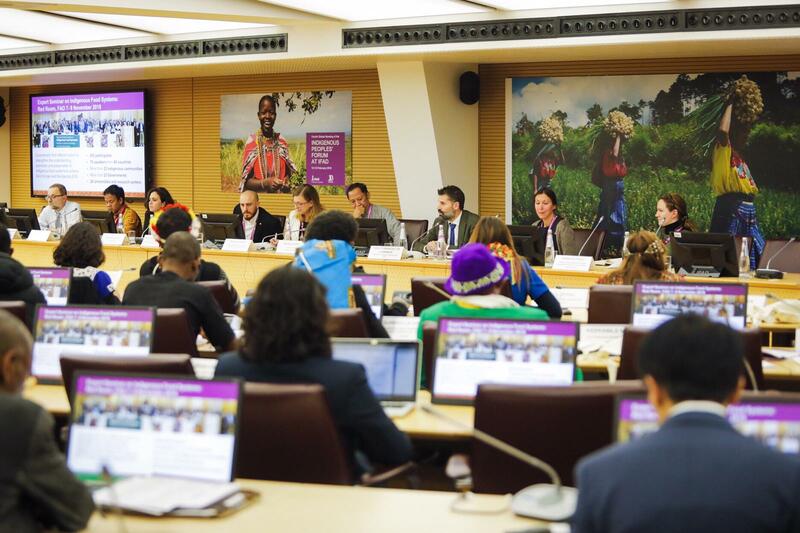 The Fourth Global Meeting of the Indigenous People’s Forum, organized by IFAD in Rome, took was closed yesterday. This edition focused on the promotion of indigenous peoples’ (IPs) knowledge and innovation for climate resilience and sustainable development, providing an opportunity for indigenous peoples and IFAD staff to analyse and learn from previous experiences, and further strengthen their collaboration for rural transformation. IFAD’s commitment in supporting indigenous peoples’ was highlighted by participants and members of the Forum’s Steering Committee. Also, Victoria Tauli-Corpuz, UN Special Rapporteur on the Rights of Indigenous Peoples, agreed with this analysis but she remarked that the road ahead is up-hill: democratic spaces are shrinking in several countries, hate speeches and campaigns on social media against indigenous peoples and environment defenders are increasing (tagged as “guerilla” or even “terrorists”) as well as the killings of indigenous activists (207 in 2017, the majority in Latin America). A zero-tolerance approach should be adapted at global level regarding the killings and violence. There Is the need to protect globally these people who are protecting the global biodiversity and out world. There are bright notes also, Victoria reported that IPs generally live better If they have autonomous governments (self-declared or recognized): successfully defending their territories from corporations (mining, oil, dams etc), higher levels of education, access to food, sustainable use of ecosystems and protecting biodiversity, etc. In some cases, indigenous “guards” have kept away the drug cartels from their territories and from recruiting the youth. “Nature Is not a force to resist, but something to adapt to, with our resilience capacity.” The speeches of members of the IPs Forum Steering Committee and UN Permanent Forum on Indigenous Issues underlined the connections between land, ecosystem management, climate change effects and resilience capacity of Indigenous peoples as well as spirituality. Dalí Nolasco Cruz, Nahua from Mexico, member of the Indigenous Terra Madre (ITM) Advisory Board for Latin America and the Caribbean, attended the Forum and contributed by sharing the experiences of the Slow Food and ITM networks on protecting and promoting indigenous food systems. «If we really want to think at the long-term impact of IFAD projects, it is really important to target youth and women. Thus, projects should be complemented with trainings and follow-up components on indigenous peoples’ rights for these two categories » she said. 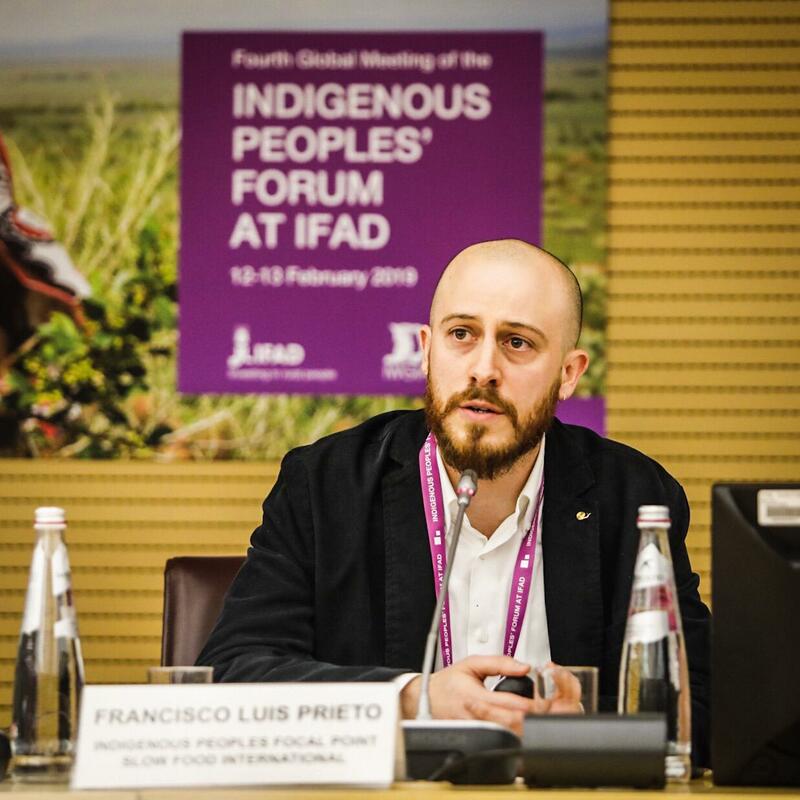 Slow Food’s representative, Luis Francisco Prieto spoke at the attendance illustrating how IFAD and Slow Food are working together to empower indigenous youth and their communities to defend and promote their food heritage. «When starting the Slow Food Presidia projects, youth and their communities meet to decide on the activities and on the budget to allocate them» Francisco said, continuing: «the innovation brought by Slow Food is the double approach, on one hand, improving the whole value-chain (from the field to the consumers, to influence their daily behaviours and food choices), and on the other hand, to connect communities with the wider Slow Food network present at the local and global level». In fact, all the knowledge that is collected at the grassroot level is shared with the network, often in events. And participating In events means self-esteem and identity: youth that attend international meetings, when they return back home, are motivated to work at the community level» Francisco concluded. Slow Food philosophy was also present for participants welcoming: when entering IFAD they could Interact with pannels explaining the connections between food, nutrition and climate change. Indeed Slow food campaign on Nutrition and climate change was set to raise awaress on how Indigenous and biodiverse food systems can contribute to a healthy life and environment. Furthermore, in their welcome bags, participants received a “chocolate bar”, made with the carub flour of the “Gran Chaco Wild Fruits Presidia” as main ingredient, very nutritious. Among the major outputs of the Fourth Global Meeting were the exchange of knowledge on good practices and the opportunity of providing regional action plans for 2019. In late 2018 actually four regional consultation workshops were held in Africa (Nairobi, Kenya), Asia (Bogor, Indonesia), Latin America and the Caribbean (Panama, Republic of Panama), and the Pacific (Nadi, Fiji) in preparation for the meeting. From their different perspectives, participants identified a series of issues and recommendations to be discussed in Rome, among them the need to establish partnerships to access the Green Climate Fund to support their community-based climate change mitigation and adaptation actions and initiatives; and the need to work on identifying strategic elements of biodiversity management in the territories as the foundation of climate resilience. This is a significant point of contact with Slow Food. IFAD and Slow Food share a vision of supporting small-scale, diversified production and consumption mechanisms that focus on improving the marketing of local products. Such mechanisms reflect principles of quality, biodiversity and environmental conservation. They also guarantee the fair pricing of agricultural products that adequately compensates the work of smallholder families. Slow Food and IFAD have worked from the beginning of the partnership to build a shared discussion space for indigenous peoples within the overall Terra Madre network. 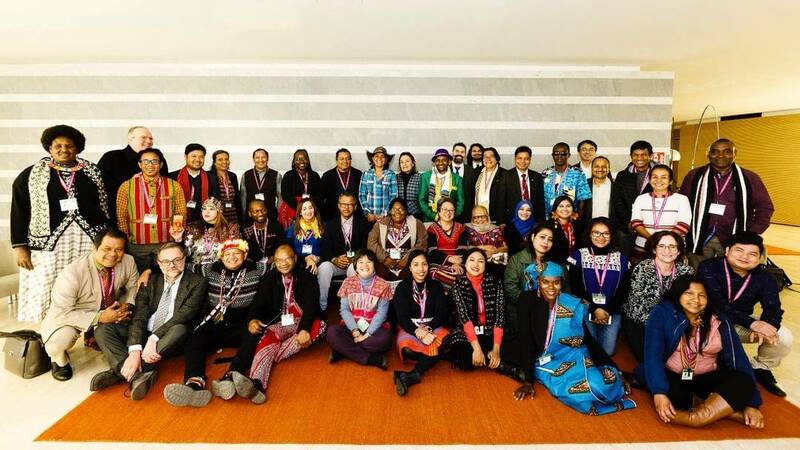 The global meeting was established in 2011 as a permanent process of consultation and dialogue between representatives from indigenous peoples’ institutions and organisations, IFAD and governments. The importance of engaging with indigenous peoples in climate change policies and action was recognized by the Conference of Parties (COP) to the United Nations Framework Convention on Climate Change in 2015 in Paris. The operationalization of the Local Communities and Indigenous Peoples Platform established by COP 23 in 2017, and the adoption by the Green Climate Fund of an Indigenous Peoples’ Policy in 2018, are two major advances in the participation of indigenous peoples in decision-making related to climate action and for the protection of their rights. ¿Cómo afecta el cambio climático a la seguridad alimentaria de su comunidad?